Isiah Factor | The Insite » KOREY RAY ONE STEP CLOSER TO A HOME! KOREY RAY ONE STEP CLOSER TO A HOME! 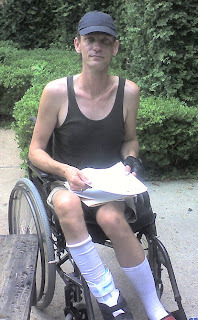 July 31, 2007 | Posted in Uncategorized | Comments Off on KOREY RAY ONE STEP CLOSER TO A HOME! THE LATEST ON KOREY RAY WILSON! I got a letter today I should rec. my first ben. check from V. A. late next month Im sure your help got them moving on it . I stiil am not finished with them( so far they have just admitted I have P.G.W.S. and thst my legs dont work as a result) but for now i can get a place to live i hope by the end of Aug. or first week of Sept.